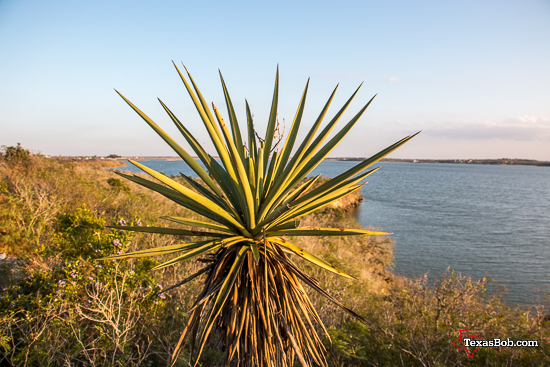 The winter months are a great time to visit a Texas State Park. 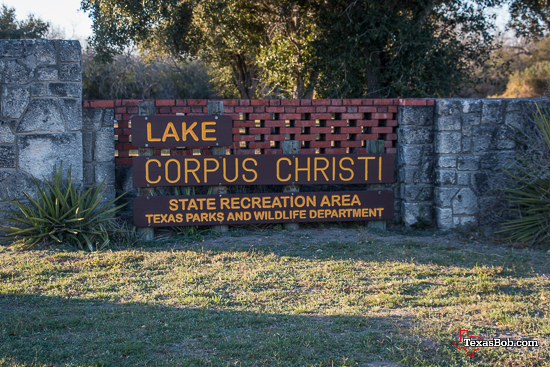 In February (2016) we camped at Lake Corpus Christi State Park located in Mathis, Texas. We were there five great days. We had two cool days; highs in the upper 50°'s, three warm days; highs in the low 70°'s and two cold nights; with a low of about 39°, so it was perfect. It is true that a park like this is not as busy in the winter months as it is in the summer but the full hook up RV portion of the park was at 100% capacity and the water & electric only portion was about 70% full. Many of our fellow campers were from northern states such as Minnesota, and Michigan, and at least two were from Canada. The lesson in this is to make reservation before you travel. 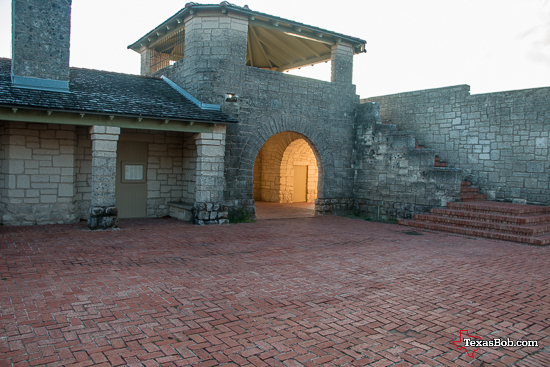 If you are tent camper, the winter is the best time to camp in Texas. There was plenty of room for more tent camping. There are also screened shelters in the park. They are grouped together near bathroom facilities. This park even has shelters with addition "amenities" which includes air conditioning. A shelter is a good option for families. There is a lot to do. Bird watching is great in the winter. The park is full of birds that are only here in the winter. It's too cool to swim but there were boats with fisherman on the water. The park has nice hiking and biking trails. 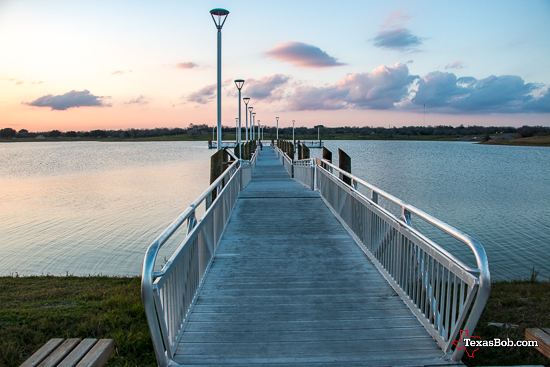 The one thing I was impressed with the most was what looked like a new long lit fishing pier. This pier is wheel chair accessible. The lights come on at night and you can fish all night if you wish. Also while fishing from a state park fishing pier or shoreline you do not have to have a fishing license. There is one thing that most people miss are the stars. This is especially if you live in an urban area. Remember to step out at night and enjoy the stars.